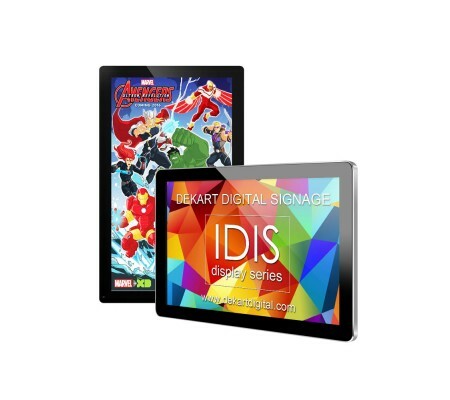 Digital digital signage display IDIS-320 allows you to quickly and effectively display advertising information to the target audience due to the high brightness and contrast of the 32 inch screen. 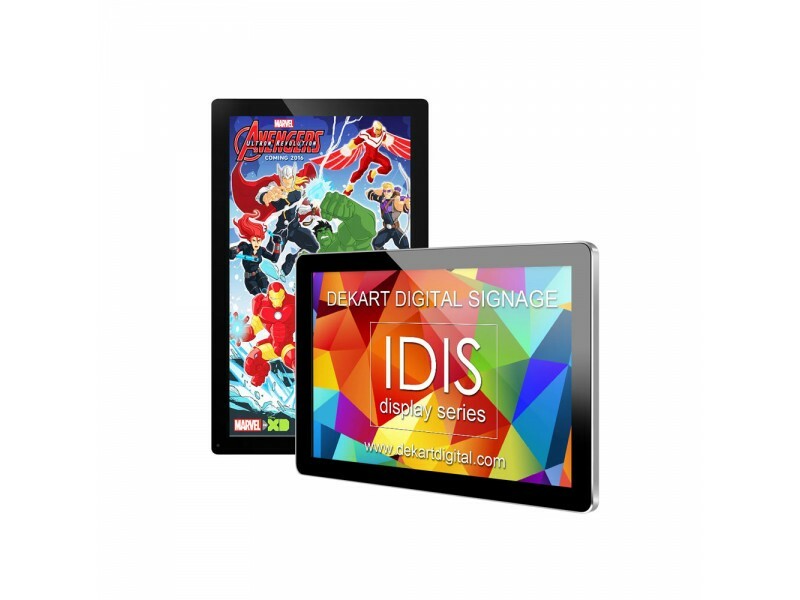 Digital Commercial Display IDIS -320 has a built-in digital signage media player with support of slides and GIF/JPG/PNG images, AVI/MPG/MOV Full HD videos, as well as FLAC and MP3 audio. It is possible to install network advertising player to remotely manage multiple displays via LAN or the Internet. IDISs can be equipped with mobile sensors with high sensitivity, or convenient control keys by request. You can enjoy photo, video, audio directly from a memory card SD/SDHC, and USB with a built-in digital display ad player (supports SD card and USB memory up to 64 gigabytes), and a loud built-in speakers. You can use USB port to connect the most diverse content from external devices. This digital signage display can be equipped with VGA, HDMI, DisplayPort display data from external devices – advertising media player or Windows/Android/Linux PC. Modern IDIS is mounted with VESA200 or VESA100 standart mounting for TV. Scheduled operation is possible when composing a playlist using a special software included. We produce LCD Commercial Displays with screens from 10 to 90 inches, call or email us now to know the price and delivery time.